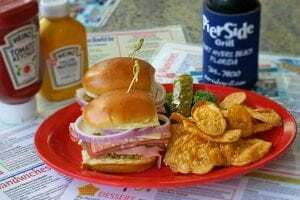 PierSide Grill and Famous Blowfish Bar on Fort Myers Beach is introducing new daily specials, available on Sundays, Mondays and Thursdays, starting Oct. 10. Shrimp and Ribs Sundays will feature a rack of baby back ribs and five jumbo shrimp, fried, char-broiled or blackened, for $23.99 all day. Ribs and shrimp will be served with baked beans, homemade pineapple coleslaw and garlic bread. Mango Mondays will present broiled mahi-mahi topped with mango salsa, $13.99 for lunch or $19.99 for dinner. The mahi-mahi is accentuated by the mango salsa’s fresh cut onions, tomato, fire-roasted corn, mango, lemon, lime, sea salt, ground black pepper and cilantro. The dish is served with coleslaw and french fries. 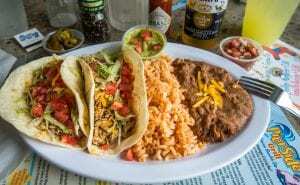 Tacos and Tequila Thursdays at PierSide Grill and Famous Blowfish Bar will feature carnitas for $11.99 and fish tacos for $9.99, served with refried beans, Mexican rice and pico de gallo. Cheesy queso fries will be available for $7.99. 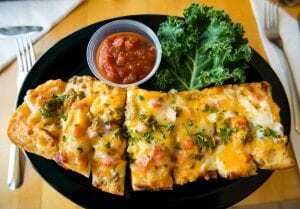 Drinks will include a Golden Margarita for $7.50, Strawberry Margarita for $7.50 and Tequila Sunrise for $5.50.